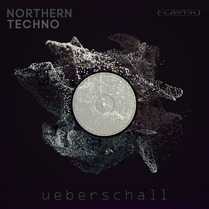 With Dubtechno Ueberschall enters the deepest side of electronic music and presents waving chords, deep kick drums, shimmering hihats and a warm fundament of bass. This soundbank gives an authentical inside into one of the oldest and still heavily played genres in the history of electronic music. 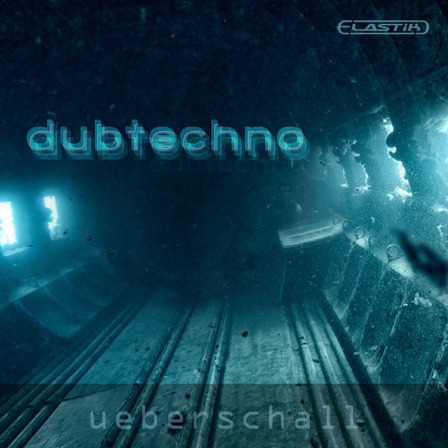 With Dubtechno Ueberschall enters the deepest side of electronic music and presents waving chords, deep kick drums, shimmering hihats and a warm fundament of bass. This soundbank gives an authentical inside into one of the oldest and still heavily played genres in the history of electronic music. Dubtechno is an excellent library for modern and contemporary music production. Find authentic loop-material and similarly inspiring ideas here. Besides music productions, this library is an excellent choice for trailers, jingles and any kind of multimedia production. 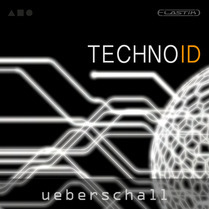 Dubtechno has been produced with great attention to detail. The soundbank is 1.26 GB in size and offers warm sub-basslines, deep bassdrums, shimmering hihats and dub chords. Among the 486 loops and samples, you will find synth-, pad- and subbass-loops as well as complete drum-mixes, also separated into bass drum, snare/clap, hi-hat & percussion loops. Additionally all drum parts are available as single sounds which can easily be combined to new drum patterns. Individual tracks are available for each of the 10 construction kits, allowing complete re-arrangements and new constructions. To offer further flexibility, the kits are also divided into four different subfolders. The content has been carefully edited for modern productions with high standards while meeting high demands to flexibility at the same time. The construction kits‘ modular structure allows the content to be used in various productions, from film dubbing, web and apps to other music projects. In addition, the library offers all samples to create authentic styles - delivered in highest quality as you can expect from Ueberschall. 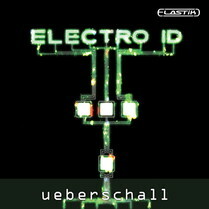 Ueberschall‘s Elastik Player is the best available tool for loop-based music production. With just a few mouse clicks the loops of Dubtechnoe can be matched to any track in pitch and tempo. All installed Elastik libraries share a common clearly arranged browser, granting immediate access to all installed loops. Here, you may not only exchange and combine loops of a single- but of all installed Elastik libraries – a huge pool for remixing.